Once again my ignorance of anime is brought to my attention. And as usual my quick little research to familiarize myself with the subject matter has left me with more questions than answers. I really like this cute little MOC by MikeVD, but I have no idea who it is. 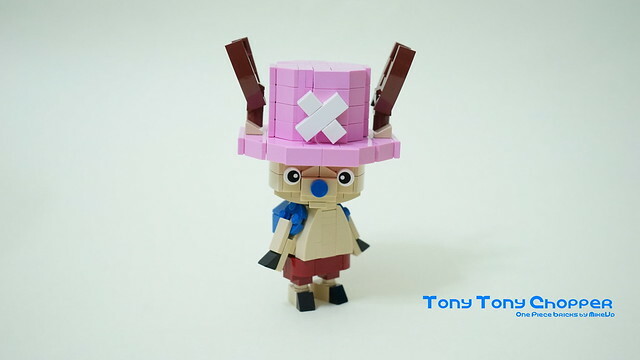 To quote One Piece Wiki: "Tony Tony Chopper is the doctor of the Straw Hat Pirates. Chopper is a reindeer that ate a Devil Fruit called the Hito Hito no Mi". So, yeah.